Mama mia, la bella Italia comes to Britain!! Forget the pizza takeaway, this is REAL Italian cookery with these superb hands-on Italian cookery courses. If you’re within reach of greater London, or Bath in Somerset, then you’re in luck. There are two approaches to learning Italian cookery, depending on your preference. First one is to spend half a day at a top grade cookery school at either the prestigious Cucina Caldesi in London, or the famous Bertinet Kitchen in Bath. Here you will be able to learn from a variety of styles, depending on what you’re looking for. Once you’ve booked, you can talk to them to arrange the course you want – whether traditional Italian, Tuscan cookery,or even “cooking for men” which is specifically aimed at teaching the less-skilled man to prepare a three course meal! The other approach is to let the chef come to you! Many people would love the thrill and convenience of learning Italian cooking alongside one of the masters in the comfort of their own kitchen, and that is just what these courses offer. So do you go to them or do they come to you? Your choice. Right then, here they are. We’ve split them up into three types – Italian cuisine, pizza and pasta. These are all from the most reputable experience providers, so you can be sure of a successful cookery class and great value for money. We’ve ruled out all the less reputable ones that we wouldn’t recommend. And in addition, we show you the lowest prices, updated in real time, so you can book with confidence knowing you’ve got the cheapest possible experience available today. Just click on the links below to check out the detail, then you can buy online there and then once you’ve found the course for you. Right, well our first complaint is that we can’t find courses we’d recommend nationwide. You need to live near London, or Bath for the best Italian cookery courses. That probably includes quite a large proportion of the population, but means a special trip if you live anywhere else. It’s slowly improving with new restaurants adding experiences, so keep an eye out if there are none where you need. How about a chef teaching in your own home? We think the idea of the chef coming and teaching you in your own kitchen is fantastic, so if you live in London, that’s what we’d recommend. You sort out your menu, and the ingredients are delivered on the day ready for you and the expert to start cooking. And then of course you get to eat what you’ve made as well. Don’t be worried that your kitchen is too small for this, or you don’t have enough gadgets – they’re teaching Italian home cooking, not restaurant cooking, and know perfectly well the limitations of the average home kitchen. Of course, if you can make it once in your own kitchen, albeit with the guidance of a professional chef, then you’re sure you can make it again. And again. And again. We’d be very surprised if you don’t make the most of your cookery class and repeat your success many times! So remember that part of the experience will be improving your grasp of cookery basics, however skilled you may be, so there should be lots to apply to any Italian cooking you do even outside the menu you create on the night. And lastly, don’t forget what a brilliant gift idea giving somebody an Italian cookery course would be. Is there anybody doesn’t like Italian cooking? And is there anybody wouldn’t be thrilled to be taught how to do it the authentic Italian way? No, I thought not! And at these low prices, it’s quite a cheap gift idea, so go on, fill your boots!! 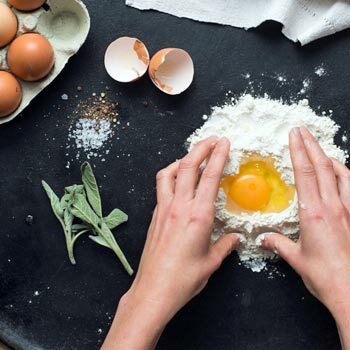 Italian cookery courses – learn to cook Italian4Sarah FirminBest Italian cookery course in your own home, or at a top class Italian kitchen with a top chef. Learn Italian cookery the easy way, and at bargain prices.